With a pool of over 8.5 million pallets, Japan Pallet Rental Corporation is the leading pallet rental provider in Japan. 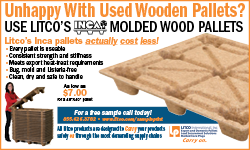 And while it was launched as wood pallet rental service back in 1971, it began introducing plastic pallets in 2000. Today, plastic pallets encompass over 65% of its pallet inventory, and almost 100% of those plastic pallets are RFID tagged. 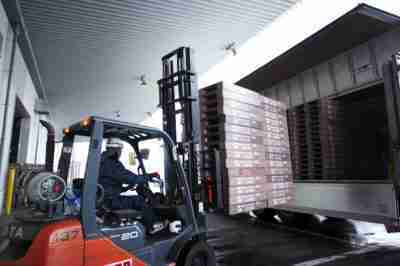 While Japan Pallet Rental began with wood pallet rental, the market has gradually shifted. Japanese customers are increasingly interested in plastic pallets. “Customers value plastic pallets for sanitation,” explained Toshifumi Okabe, Executive Director of Development Sales and Overseas Sales Dpt. & Supply Chain Management Dpt. at Japan Pallet Rental Corp. (He is also Vice-Chairman of the Japan Pallet Association.) The other key driver for plastic pallets, he explained, is the popularity of multi-tier automated warehouses in Japan, and the need for dimensionally accurate, good quality pallets. The demand for warehouse automation, in turn, has been influenced by the lack of real estate availability and labor in the country. I was greeted by Okabe, and Minako Ito, a marketing specialist, at Japan Pallet Rental’s Tokyo head office on a sunny and expectedly warm Thursday morning in December. The location is close to the immense Tokyo Station and the Emperor’s Palace. I had read that punctuality is extremely important in Japan, so I allowed myself an extra 45 minutes, given it was my first trip to this country. After several minutes of disorientation in the crowded station, I did somehow make it to the building on time after I went back and reread Ito’s detailed instructions containing references to various landmarks (“Look for the Lawson convenience store”) and station exit numbers. 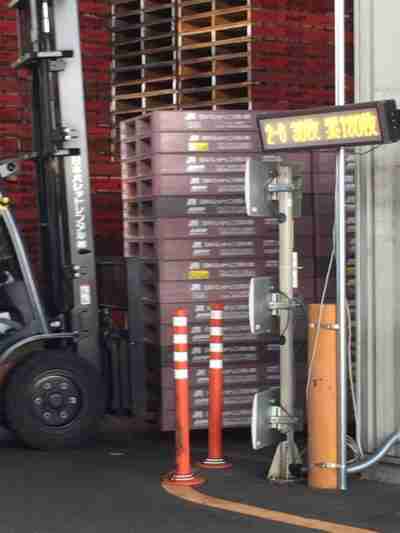 At the building entrance, I asked the attendant if it was the right building for Japan Pallet Rental. “Ah, JPR,” he said, and handed me a pre-prepared visitor ticket with my name on it. Japan Pallet Rental was launched in 1971. 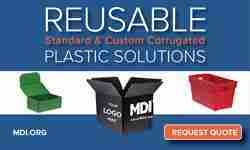 Today, plastic pallets constitute over 65% of its rental units. “We are somewhat like CHEP,” Okabe explained. “But they are not here because we are here already,” he quipped. Japan, like South Korea, utilizes the 1100 x 1100 mm footprint, and with material handling and transportation equipment all geared to that size, that size is firmly entrenched. The 1100 x 1100 footprint is also one of the two standard sizes in China, Okabe told me, along with the 1200 x 1000. Japan Pallet Rental has a pool of over 8.5 million pallets, and over 5.6 million of them are plastic, either polypropylene or polyethylene. It has another 2.6 million wood pallets. 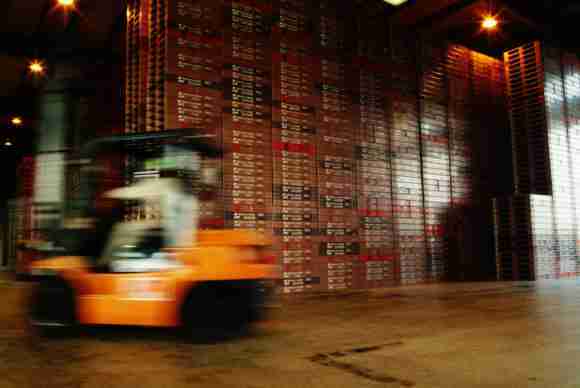 The company issues about 37 million pallets annually and generates revenue of ¥22 billion or slightly less than $US 200 million at current exchange rates. It has been affiliated with the Korea Pallet Pool and Chinese Logistics & Rental (formerly Taiwan Pallet Rental) since the mid-1980s, as well as CPR (China Pallet Rental, Shenzhen China.) JPR is also a member of Asia Pallet Pool, which is a collaborative effort of pooling providers across Asia. Japan Pallet Rental customers include several major companies familiar internationally, including Nestle, P&G, 7-11 and Walmart, as well as a number of other leading domestic players. One of the challenges for pallet pooling in Japan is the relatively small market share of major retailers in comparison to North American or Europe. The top ten grocery retailers in Japan have an aggregate market share of less than 35%. The wholesale trade remains very strong, and small format stores remain important, while modern convenience stores remain the fastest growing segment. 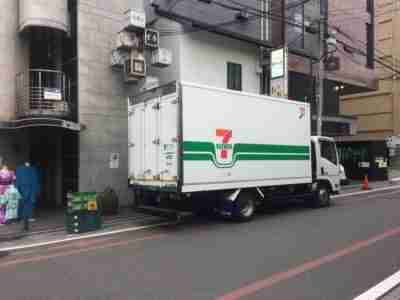 The leading grocery retailer in Japan is 7-Eleven (7 & I Holdings) which had a 12.2% market share in 2015. 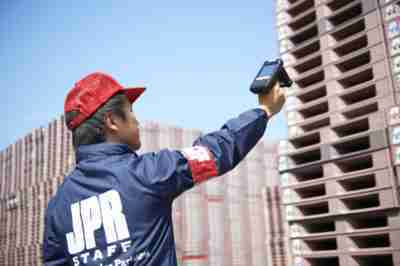 Pallets are scanned upon arrival and departure from JPR depots. 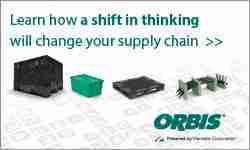 Okabe acknowledged that such a fragmented distribution system can complicate pallet retrieval, however. One benefit of the Japanese market is that pallets typically do not flow through to the retail store. They are emptied at the distribution center or at the wholesaler, from where they are retrieved. The company enjoys a 99.8% recovery rate on a per trip basis. While the recovery is excellent, he observed that when you are talking about moving 37 million pallets annually, the replacement cost for unrecovered pallets, with a replacement value of about $70 each, is still a big number. Japan Pallet Rental utilizes technology to help it manage its pallets, and it also offers management services for the mobile assets of others. Back in 2002 it first launched “epal,” its web-based logistics equipment tracking program. Today, the company offers logistics equipment management services as well as information services in addition to pallet rental. For example, it provides its epal information management solution to the grocery industry, managing a collective industry pool of 2 million handheld crates, involving 56 distribution centers of 29 companies. The company launched its rebranded Logiarx service in 2016 (Originally started as Llink in 2013), which provides visibility of pallets through customer supply chains while generating actionable data to support analytics and continuous improvement. One client of note is AEON, a leading Japanese retailer. It uses Logiarx to help it track its inventory of 650,000 roll cages, used for the delivery of assembled orders to retail. The result has been that AEON has been able to reduce the number of roll cages it needs, allowing it to cut back on new purchases. Other benefits included labor saving, inventory accuracy, the elimination of paper invoices and automatic data capture. Automated data capture helps to streamline supply chain operations. Moving forward, Japan Pallet Rental will soon be offering a forklift-based RFID reader and weighing system to allow customers to drive more efficiencies into their supply chains. For example, actual load weights can be communicated to the WMS to compare the actual versus calculated load weight in order to validate order accuracy. It has been working with Portland, Oregon-based Cascade Corporation in developing this offering. As our brief meeting ends, Okabe asks me about the latest trends in the U.S. rental market, about which, not surprisingly he already seems up to date, given that JPR is a company that continues to monitor global best practices in its efforts to best serve its customers. Japan Pallet Rental has 80 depots across the country. For more information, visit www.jpr.co.jp/english/. The outside storage of reusable packaging is a common site in cities such as Kyoto, Japan, shown in this photo. One interesting thing I learned in Japan is that the theft of plastic containers and pallets is not a problem, as it is in many other countries around the world. Speaking to an executive of a plastic container pooling company, I learned that theft is not an issue. He joked that it is the nature of the Japanese culture, and that if you lose your wallet, for example, you are very likely to receive it back, still intact. Walking the streets of Tokyo and then Kyoto, I remarked that plastic containers are often stored outside. There are also a lot of bicycles left outside, and many, if not most of them were not secured against theft.